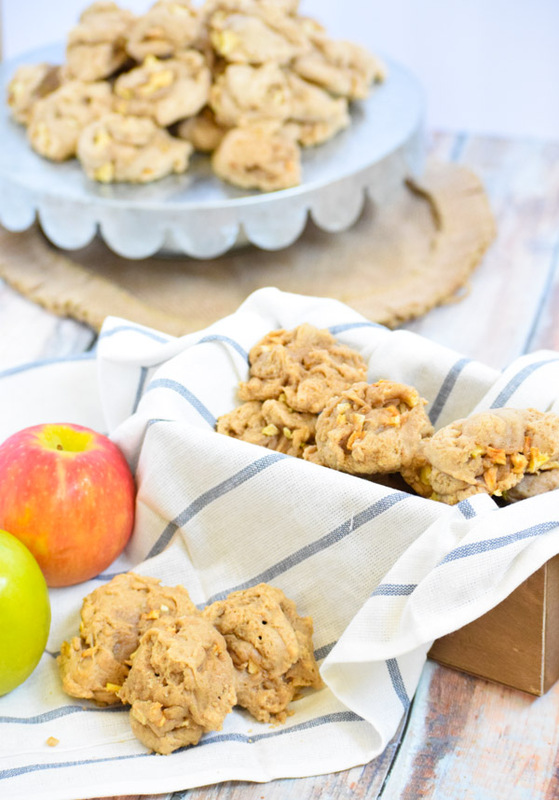 These Pioneer Apple Cookies are soft and chewy cookies have been around for generations and include the goodness of apples in every bite! We’re getting close to that time of year when orchards will be full and yards overflowing with apples falling off their trees. Locally, we have several orchards who open their doors and allow families to come and pick apples themselves. We have never done it before but this year we’ll be venturing out do get our bushel! 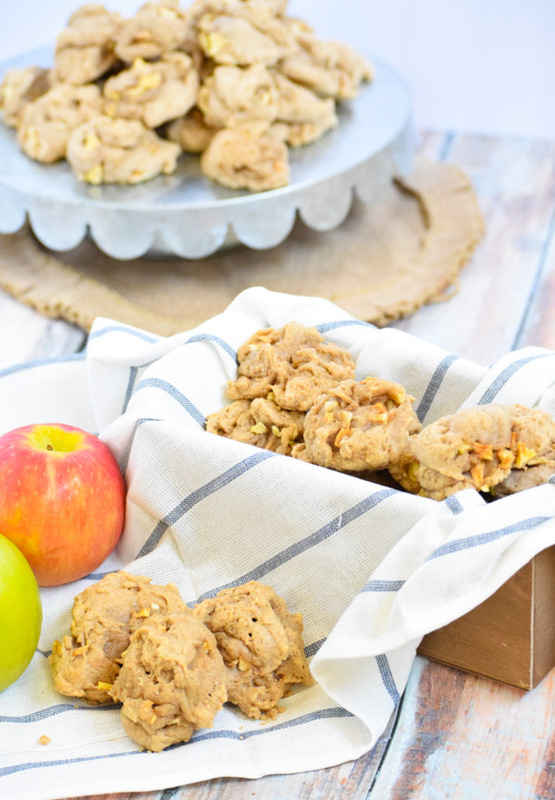 And when we come home with those apples, it will be time to have some fun baking! 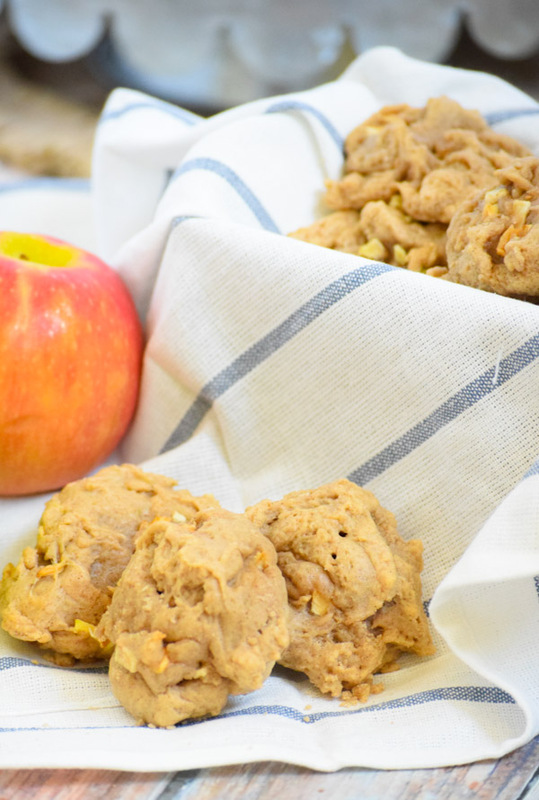 I love recipes that are new and different, so I’ve been scouring the pages of family cookbooks and recipes to find my favorite apple desserts. When I came upon this cookie, I knew I couldn’t resist. These cookies are called “Pioneer Cookies”, a recipe that was carried over to the West by courageous people looking to better their lives. Here in Utah, we celebrate our Pioneer ancestors every year on the 24th of July with the Days of ’47 (because these settlers first arrived in the Salt Lake Valley in 1847). We also call it Pioneer Day. This recipe is one of those recipes that you can bake with your children and tell a story. Even if you don’t have Pioneer ancestors yourself, American history is full of them. And, if you think of it, there are pioneers in modern times too. People who were brave, who set out to do something new, going off into the world to better themselves. The values that the pioneers carried with them are the same values that many of us aspire to have and instill in our children. I also love that it isn’t your typical cookie. It doesn’t use white sugar! Because of that, it’s not overly sweet. And that means you should be careful, because you can devour a few before you even realize it! 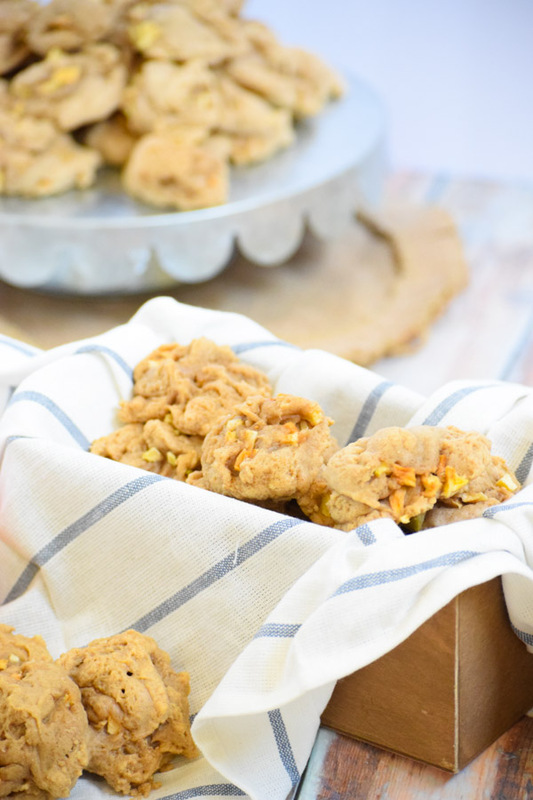 They are soft and chewy, like a pumpkin chocolate chip cookie. It cuts the apples into spiral slices that made them easy to chop up. If you really want them chopped finely, you can throw them in a food processor and pulse the apples a couple of times. I used two granny smith apples and it gave me what I needed. Do you have a favorite family cookie recipe?